The PowerMeter market has grown significantly in the last decade. One sided, or typically left sided power measuring devices, fueled by consumer demand for less expensive options, have become a primary or derivative product for many manufacturers. In comparison to a dual sided PowerMeter, one-sided devices are typically offered at lower price points. Each of these devices has strengths and weaknesses that the consumer should be aware of before purchase. The lower initial cost may be attractive to consumers as an entry-level product, but for athletes and coaches who demand reliable and consistent data, a one-sided device has many limitations. The purpose of a PowerMeter is to deliver accurate and relevant data to athletes and coaches. It is important to examine whether a one-sided device can accomplish this task. Any scientific instrument should produce meaningful results, work with precision and reliability, and produce data that is impartial to the input of the user. A PowerMeter is a device that measures the sum of the force (or torque) and angular velocity (cadence) of both legs and combines the measurement into one total. Any PowerMeter located in the spider of a crank arm is dual sided, as it measures the torque delivered to both the right and left pedals. A one-sided power-measuring device is not a PowerMeter, as it measures only a portion of the force generated by an athlete and then calculates the remainder based on math. A left sided device is more accurately referred to as a “power estimator”, or a “power-measuring device”. It could also be called a Left-Sided Power Measuring Device (LSPMD for short). 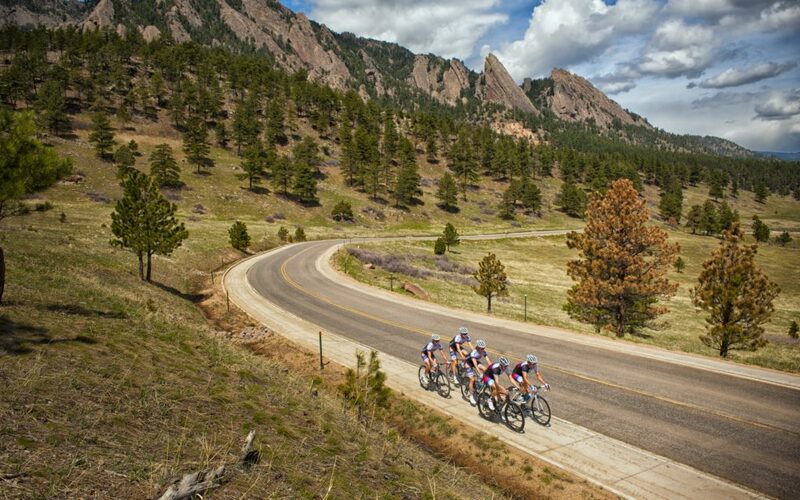 Cycling is the only sport (aside from recent developments in running power measuring devices) that has the technology to measure the athlete’s power output in real time, during training and racing. It is not possible to measure the power output of a swimmer, a basketball player, or a cross-country skier (yet). Because of the relationship between the athlete and the machine, cycling allows a precise quantification of training and racing load, as the power produced by the athlete can be captured in the mechanical drivetrain of the bicycle (via the pedals, crank arms, crank spider, hub or spindle depending on the design of the device). As sports science progresses, the power outputs of different sports will certainly be accessible as the technology is invented to measure it. For now cycling is the primary domain of the number geek. More information is available to describe the training and racing load of competitive cyclists than in most other sports. With so many types of devices on the market, it is imperative to examine the accuracy of the devices used in order to ensure the quality of data. Comparing data from a SRM PowerMeter (which is a crank based dual sided Powermeter) and a LSPMD, trends in data can be seen from which conclusions can be drawn. This is what would be called a qualitative observation as opposed to a quantitative statistical workup, since the number of study subjects was one. Protocols used are detailed below. Interval #2: Left leg active, right leg “dead”. The active leg was at “tempo” perceived effort. Interval #3: Right leg active, Left leg “dead”. The active leg was at “tempo” perceived effort. During trials, one leg was made to be “active” and the other leg “dead”, with all pedaling force being focused on the active leg. Both feet were left clipped into the pedals. No push or pull on the pedals consciously happened with the dead leg. This protocol was selected to highlight the differences in the displayed powers that are measured versus those that are calculated. Even without active muscular effort, some force will be delivered on the side of the dead leg, because the leg (in gravity) is falling during the down-stroke. This will be registered as positive torque on that side (assuming the torque is being measured on that side, not calculated). A human leg in a male equals approximately 20% of total body weight (2), in this case about 12.5kg of mass falling on the pedal. It is easy to see that the LSPMD inflates the numbers produced. In these two trials, the time, cadence and HR were identical, but by emphasizing the L leg during pedaling, we get a number that is over 50w higher. In this set of data, we can see that when the R leg is active, the LSPMD greatly underinflates the numbers produced relative to a dual sided PowerMeter. For the same interval, the LSPMD measures over 30w lower. The most obvious problem with LSPMD’s is that it is possible for an athlete to intentionally manipulate the data produced. For efforts that are primarily aerobic (> 20 min in length), the rate-limiting factor is oxygen (O2) delivery to the muscles, not force production. The force applied during an effort at threshold power is (a given) number of Newton Meters. A single leg in a well-trained athlete can deliver this same average force for an aerobic effort, without maximally taxing the aerobic system. This means that when an athlete is using a LSPMD for longer or sub-maximal efforts, it is possible to artificially increase the power displayed by intentionally applying “additional” force on one side. The resulting speed and HR will be lower than if the rider applied full force to both pedals, but the power number can effectively be inflated for a given duration. It is common practice for professional cycling teams to use power data to assess the physical state of the riders. By reviewing data generated during team training camps, blocks of individual training, or races, sports science teams will draw conclusions about the conditioning of the athletes. These conclusions can impact whether a rider is named to the roster for a grand tour, or be used to plan future training blocks. If the rider were using a one-sided power-measuring device in training, it would easily be possible to influence data in his favor by simply emphasizing the torque on the measured leg during efforts. It is also possible for a rider using a LSPMD to inflate their numbers to please their coach, win praise from fellow riders, or inflate their own ego with false numbers. In an age when doping in master’s races is endemic, it is reasonable to think that some riders would leverage this opportunity in certain circumstances. The percentage of riders who would intentionally influence their data may be quite small in reality. The problem is not that a significant number of athletes would manipulate the data. The problem is that it is possible to manipulate the data at all. The use of a dual sided PowerMeter precludes this possibility. No matter how the athlete applies the force with one leg or both, the true total power made by the athlete will be displayed. A LSPMD is ostensibly a scientific instrument made to impartially measure and display data. 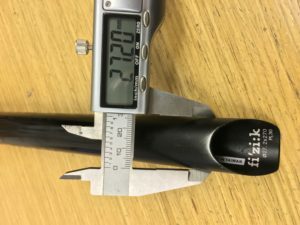 Imagine a micrometer that could be used to measure a seat post that is 27.2mm in diameter show the result to be 31.8mm, either with or without my intentional manipulation. Such a micrometer would not be a scientific instrument, nor would it be a useful device. The other aspect worth consideration is the unintentional manipulation of data. This is perhaps a larger issue for both riders and coaches. There is an intimate connection between the effort a rider puts forth on the bike and the numbers displayed as a result of this effort. After hours of invested work, elite athletes become acutely tuned into the numbers that indicate the results of their labor. Because the measurement device can be influenced by the input (the athlete) it is possible that while training, a rider will begin to have positive associations with pushing harder on the side that is being measured. The rider may or may not be conscious of this happening. It is also possible a rider may begin to have negative associations with pushing harder on the side that is being calculated, as this would result in the number on the display dropping. It is conceivable that in the long-term, bilateral asymmetries could be developed. This risk is increased in athletes who train solo and use a LSPMD for pacing during efforts; in a group situation or competition, it is less likely that a rider would have the latitude or focus to emphasize the torque placed on one leg or another. In no circumstance can the user intentionally or unintentionally change the readout of a micrometer; 27.2 mm is always 27.2mm. The data displayed from any OSPMD can be manipulated, and this makes the numbers always potentially invalid. It is important for the rider and coach to understand the limitations of a LSPMD. Likewise, it is important for a consumer to understand exactly what they are buying when they decide to purchase a one sided power-measuring device. Provided the athlete has certain baselines as references, it is possible to use these devices in training and/or competition and get some data that is useful and accurate, but the rider and coach must always interpret this data in context and with a healthy dose of common sense. If the rider has a dual sided PowerMeter to use as reference (on the same bike, on another bike, or a reliable ergometer), and uses this PowerMeter for periodic tests to validate FTP or critical power numbers, its possible that a LSPMD can be used for daily training or racing. Any new maximal power value should be viewed as potentially suspect when recorded with a one-sided device, and any outlier data must be viewed as suspect until it is validated using other tools. Possible ways to validate the data obtained on a particular file generated from a LSPMD could include comparing files over the same routes and considering all the relevant data; this could include time, cadence, speed, heart rate and power. Strava could also be used in certain circumstances. Of course, weather (including wind, temperature, humidity and pressure) must also be accounted for. Validating the data from this device has the potential to be complicated enough to detract from the perceived savings associated with the lower initial cost. Coaches who work with athletes using one-sided devices face the problem of data reliability and also the risk of potential long-term athlete bilateral asymmetry. Within the context of more accurate data, LSPMD’s may be useful but should be regarded with caution. The biggest positive by far for a LSPMD is that these devices bring the technology to athletes and coaches who could otherwise not afford it. A rider can still learn the basic lessions of pacing and perceived exertion vs. real output with a LSPMD and these are some of the most important takeaways from training or racing with power. A rider can also more accurate quantify their long term season load with these devices and see improvement. Not everyone can afford $1-2K for a power meter so these options are very handy to get riders using and learning about power as a metric. -Both instruments were synced to SRM PC8 head units with identical firmware. – Zero offset was confirmed before intervals began on each ride.